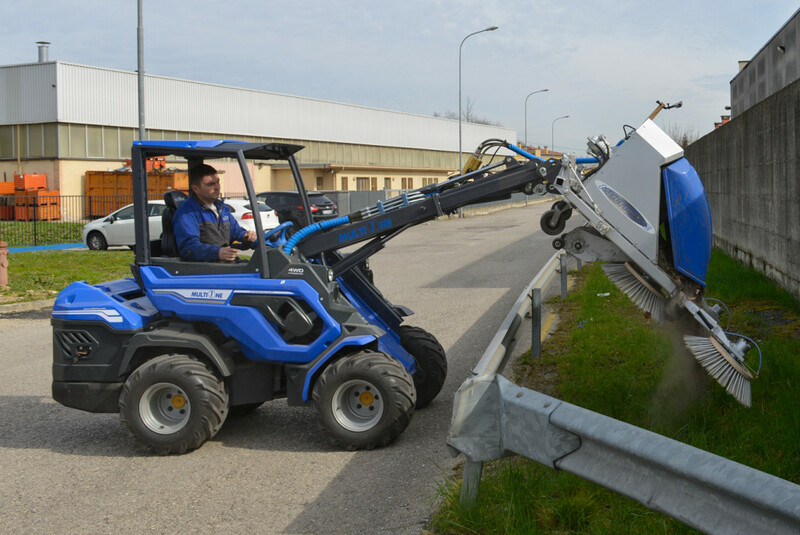 Need to clean off large paved areas, but can’t justify the high expense of a purpose-built street sweeper? 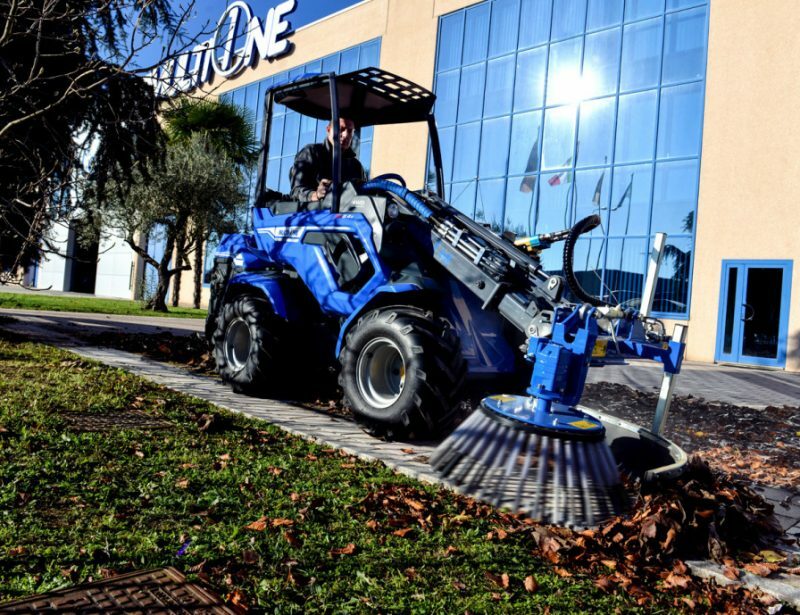 MultiOne’s vacuum sweeper attachment turns your mini loader into a pavement cleaning machine, loosening dirt and picking it up for easy disposal. 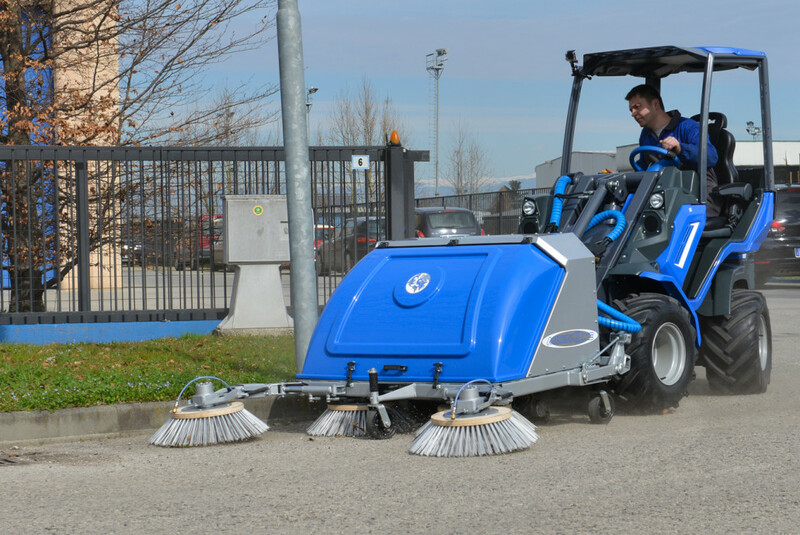 The vacuum sweeper uses four brushes to loosen dirt and debris and push it toward the opening of the vacuum. 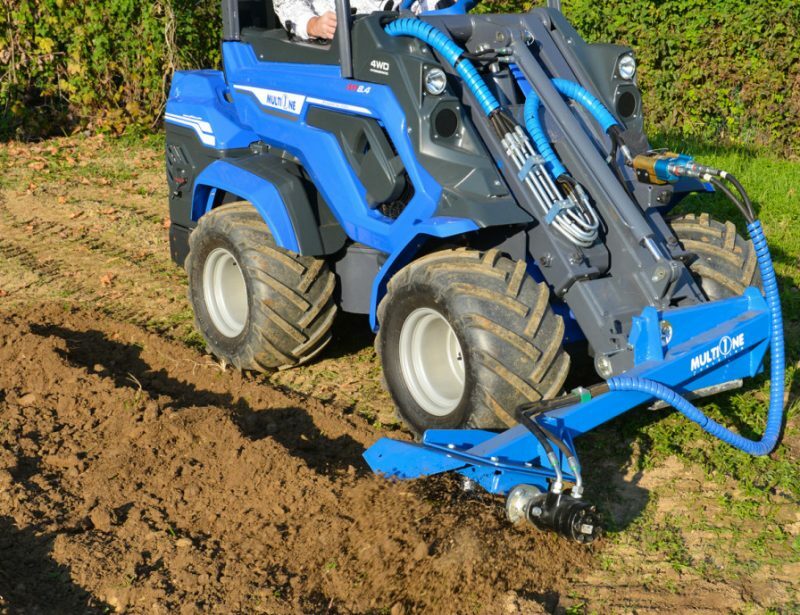 A floating mounting bracket and three support wheels keep the attachment stable so the vacuum is always at the perfect height, while the brushes can be moved in and out hydraulically from the operator’s position to best fit the surface being cleaned. 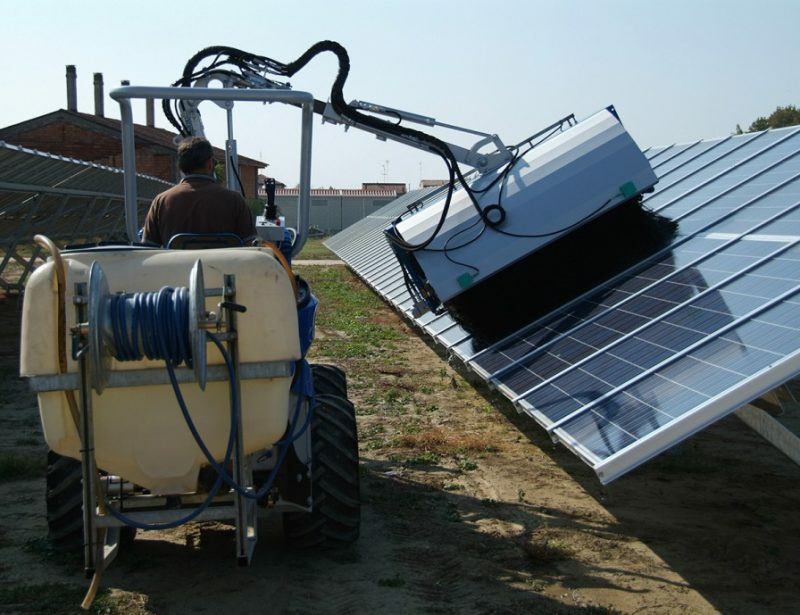 Dirt is stored in a large bin that can be lifted and emptied like a loader bucket. 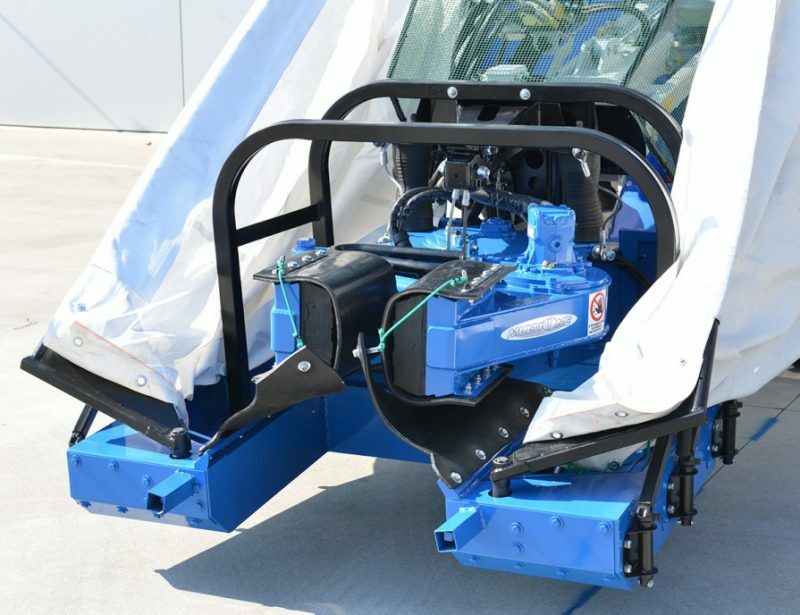 Maintenance intervals are reduced and suction maintained by a vibrating mount that shakes the vacuum’s filter clean to ensure adequate air flow. 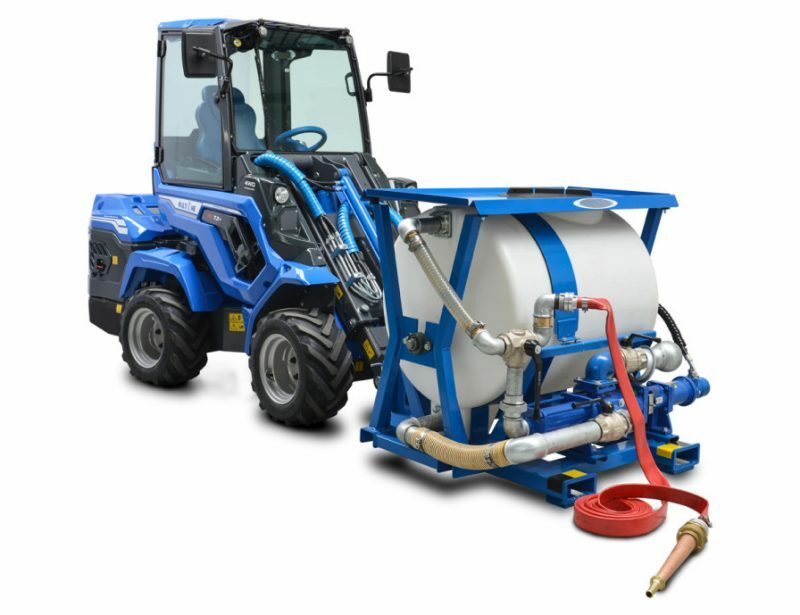 MultiOne offers an optional humidification system that uses a 12 volt pump to feed water from an on-board tank to sprayers on the brush mounts, suppressing dust as the dirt is lifted off of the pavement. 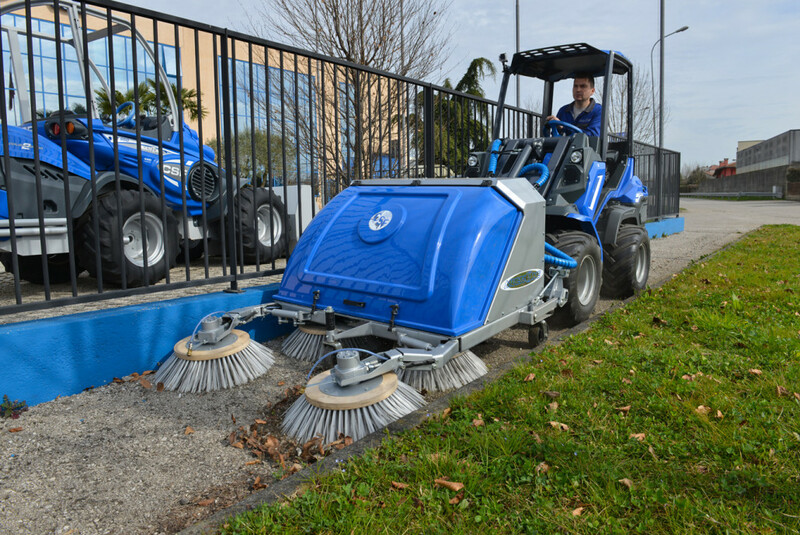 There’s also a brush that mounts to the left side of the sweeper for reaching curbs sides and other tight spaces. 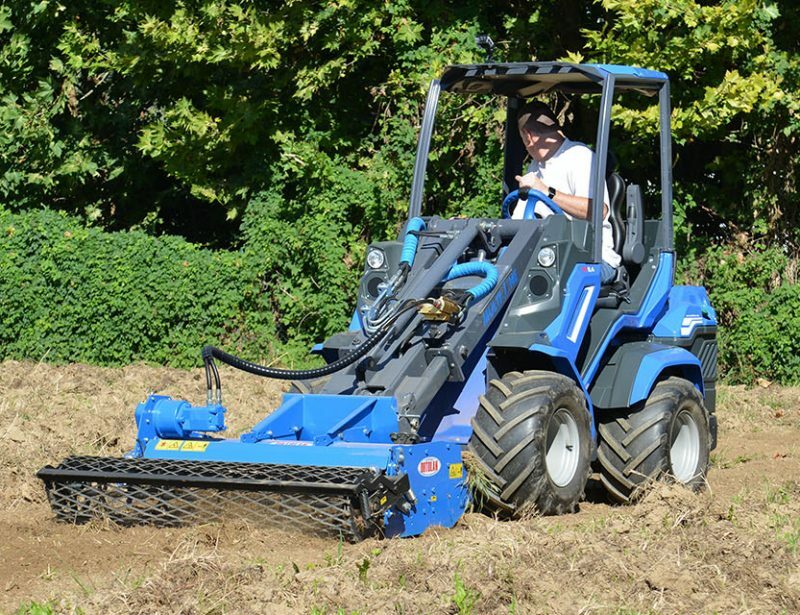 The vacuum sweeper’s brushes can be adjusted to cover a width between 47.2 inches (120 cm) and 63 inches (160 cm.) 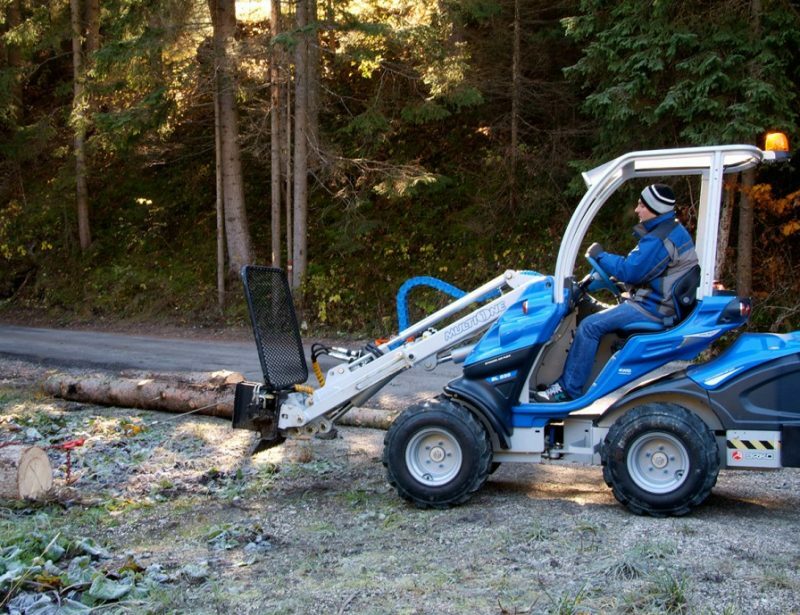 It’s compatible with all four wheel mini loaders, but MultiOne recommends using a 5 Series or larger loader for the best performance. 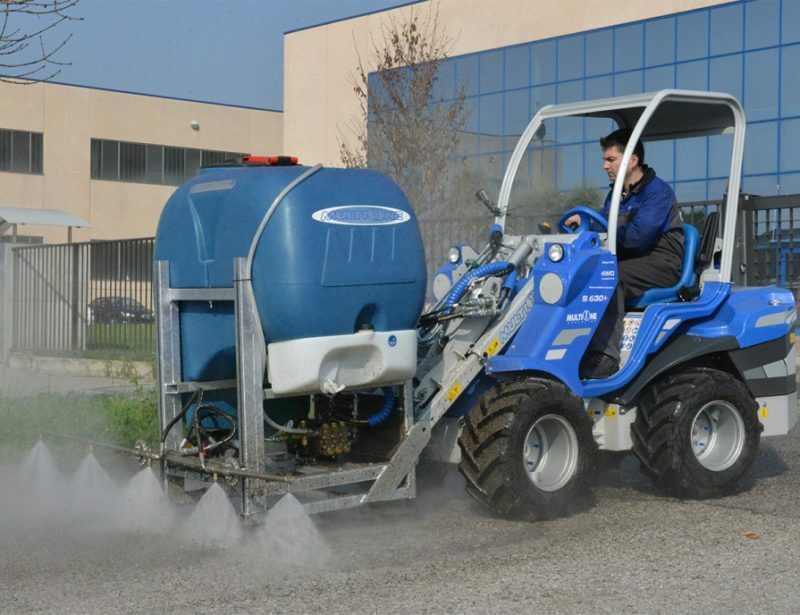 The left side brush and humidification kit are optional equipment.